To many sports fan, the most intriguing move that former Duck QB Marcus Mariota made was that he announced he wouldn’t be attending the 2015 NFL Draft in Chicago, Ill. Instead, he’ll be in Hawaii surrounded by his family and friends. For Oregon fans or individuals who are close to Mariota, we know that he’s a reserved and private type of guy. The dude is family, man. Some feel that Mariota’s quiet and kind nature on and off the field hinders him from being considered a legitimate first overall pick. However, former NFL QB and ESPN analyst Ron Jaworski, spoke about his esteem for Mariota and released the latest NFL swirl surrounding him. On multiple mock drafts conducted by NFL analysts, Mariota is listed to go in the top ten range. But, football fanatics from CBS Sports for instance, have him being among the top 6 picks in the draft. 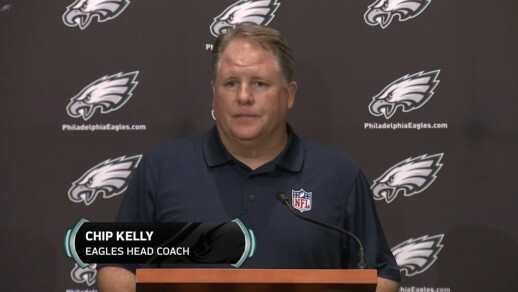 Chip Kelly may have something in store in order to trade up to draft his favorite QB. The show started getting really interesting when Jaworksi discussed the latest gossip with the Philadelphia Eagles’ Chip Kelly, and what he’s been doing working up to the draft. Around this time, it’s been known that general managers from teams throughout the NFL are talking to one another attempting to make some sort of trade happen. Instead, Jaworski has heard that the Eagles GM has been talking about Mariota daily and voiced his opinion by stating that Mariota will “win multiple Super Bowls in the National Football League.” That’s quite a statement directed to a QB that hasn’t even made a footprint on an NFL field, yet. The latest statement that Jaworski released regarding Kelly left me feeling a little skeptical about Kelly’s latest moves. What makes sense is that Kelly evidently loves Mariota and strongly believes that he’s the guy for his team. However, Kelly traded for QB Sam Bradford, who has not made a big splash in the NFL and has a history of injuries. What gives? In all fairness, Kelly should be making some moves to be put into a position where he’s for certain that he’ll get the Hawaiian product. But, the odds of that happening are slim as the draft is nearly three weeks away.